Inside the Miraflores Locks on the southern end of the Panama Canal. 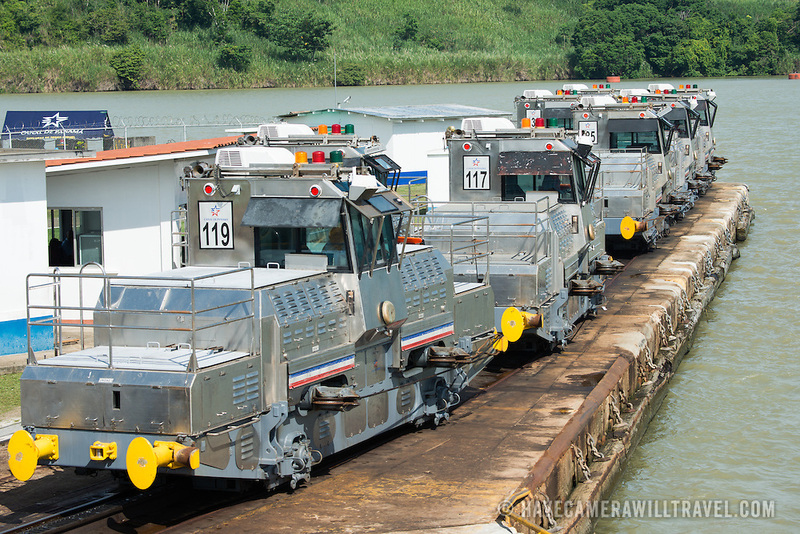 Known as mules, these small track engines help ships move into the locks of the Panama Canal. Opened in 1914, the Panama Canal is a crucial shipping lane between the Atlantic and Pacific Oceans that mean that ships don't have to go around the bottom of South America or over the top of Canada. The Canal was originally built and owned by the United States but was handed back to Panama in 1999.